Today, black pepper is such a common pantry item. It was once so valuable that it was used as currency. We take it for granted, but the majority of savory recipes include black pepper as an ingredient. Pepper is ranked the third most popular ingredient to recipes, with water and salt leading the race. To get basic ground black pepper, must begin with whole peppercorns, today, not as commonly used. Today, pepper, known as the King of Spices, still accounts for one fourth of the world's spice trade. Tunisians lead in pepper consumption with half a pound per person per year, Americans consume about one quarter pound per year. Black pepper is also an effective deterrent to insects. A solution of one half teaspoon freshly ground pepper to one quart of warm water sprayed on plants can be toxic to ants, potato bugs, silverfish, and even roaches and moths. A sprinkling of ground pepper will also deter insect paths in non-garden areas. In a skillet heat oil and melt butter over medium heat. Add crushed red pepper, mushrooms, salt, pepper and onion powder. Stir, and cook about 5 minutes. Add green beans to the skillet. Heat green beans through. 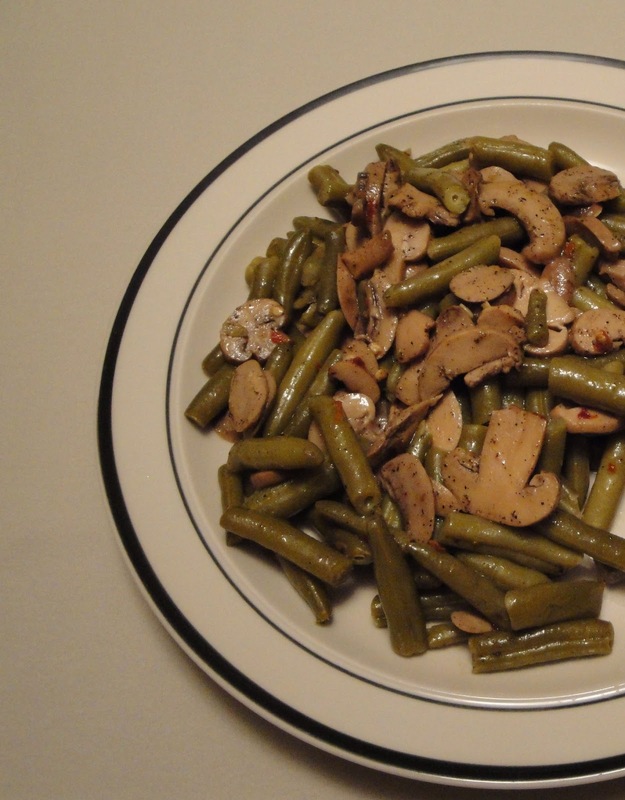 Transfer green beans and mushrooms to a serving dish. Enjoy!